If you have a lot that’s less than level, count on us to grade your property. Here at JRP Tree & Demolition, we provide a variety of demolition and excavation services, including dirt and land leveling. Let’s delve into why you may want your property leveled, the equipment that we use for the job, and what sets JRP Tree & Demolition apart from the others. Leveling your property may be necessary if you’re preparing to build a home, garage, or another building; it may be necessary if you’ve just had an excavation completed; and it may be necessary if you’re looking to sell your property. Regardless of the reason, we have the solution. Our crew has the equipment, skill, and know-how to level your property as well as remove any excess dirt and debris, so that you’re prepared for whatever’s next. We utilize a few heavy machines for larger projects, as well as hand tools for smaller projects and finishing details. If you have several tons of dirt to move, we may utilize a backhoe and/or skid-steer to flatten out your property. If you don’t have a ton of dirt to move, we may work with wheelbarrows, shovels, rakes, and a bit of manpower. In short, we employ a variety of tools to ensure that your job is completed properly and efficiently. What Sets JRP Tree & Demolition Apart? Here at JRP Tree & Demolition, we see your landscaping projects through from start to finish. With a property leveling project, we’ll work with you to hone in on your vision for your property. Then, we’ll get to work moving your dirt. We strive to leave your property smooth, level, and pristine. 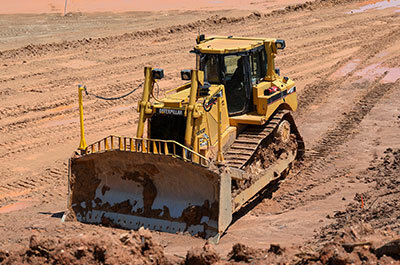 We like to think that we’re the best lot clearing and land leveling experts in Texas. But don’t just take our word for it; take a look at our previous clients’ testimonials. And if you’re ready to try JRP Tree & Demolition for yourself, don’t hesitate to get in touch with us for a free quote! JRP Tree & Demolition is a Houston-based, family owned and operated business. We provide demolition, excavation, and tree care services for folks throughout Houston and the surrounding area.